Digital large LED LCD screen display, reading is easy, intuitive and reliable, timely understanding of tire wear, professional measurement of tire anti-skid pattern depth, suitable for cars motorcycles trucks vans. High precision measurement, Range: 0-25.4mm, accurate to 0.01mm, accurate guarantee, easy to operate. Stainless steel measuring, needle is more wearable. 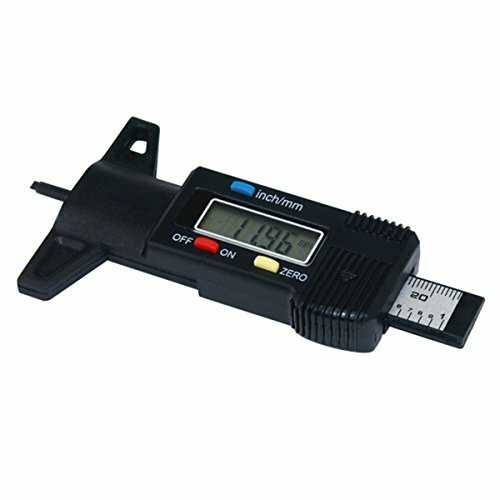 Suitable for tread depth measurement, One-touch switch between Metric/Inch system interchange, any position is set to zero for relative measurement. Manual power on/off. Designed with electroplated iron probe, resistant, wear, durable, with CE certificate. Fine workmanship, atmospheric appearance, new data transmission hole. If you have any questions about this product by H88, contact us by completing and submitting the form below. If you are looking for a specif part number, please include it with your message.